The Automotive Service Association is the largest, nonprofit trade association of its kind dedicated to automotive service and collision repair professionals. Founded to help auto shop owners change and grow their businesses, we are governed by the independent service and repair professionals themselves. What's New On The Net aims to inform the average online user of all the new developments in the world of the Internet. Bringing you up to Net Speed, is its tagline. So be it Internet-related news, views or the newest website, portal, blog or micro-blog, chat or search engine, smartphone or Web app to have hit cyberspace, you will find it here, all of it done using a combination of cutting-edge curation software and human editors. We are a cloth-diapering, co-sleeping, baby-wearing, breastfeeding family who loves to be outdoors and exploring! Follow our journey as we become a full-time RV-living family. We make our lives as natural and organic and possible. The New Jersey Coalition of Automotive Retailers (NJ CAR) was founded in 1918 and is a non-profit organization serving more than 510 franchised new car and truck retailers throughout New Jersey. Auto retailing is a $30 Billion a year business in New Jersey, employing nearly 35,000 men and women and representing more than $1.5 Billion in State and local taxes. The Hans India, a daily newspaper published from Hyderabad with bureaus across the State, provides news updates from around the world as they happen. The newspaper, which is part of the Hyderabad Media group, is on its way to becoming the leading English newspaper in Andhra Pradesh. StartupDope is a leading source for news, information and resources about Bleeding edge Technology and Startups. StartupDope reports on the latest innovations in technology, upcoming trends and everything that is cutting edge to our present generation and tries to keep people updated around the world. Ready, Set, Parenthood! is a parenting blog written by two first-time parents sharing their journey. The blog features parenting experiences and tips, plus a lot of Cleveland, Ohio love. From movie clips to TV show clips to activities for kids and information for their parents, What U Talking Bout Willis provides something for kids of all ages. You'll also find book reviews, product reviews and giveaway promotions. Not A Stepford Life looks at the chaos and insanity of marriage, family, parenting a large family, and society at large. Humourous, thought provoking, and opinontated. Nickely Challenged is an allergy lifestyle blog, emphasizing nickel allergies but also catering to the eight top food allergies. It is a pit stop for all your allergy meal modifications, etiquette tips, product reviews, stories, research and more. Barbara Njuguna writes and maintains this PR- and sponsorships-friendly site so that she and her viewers can find new ways to live an allergy-free life. All About the Child is a working mom's blog about parenting tips and stories, family travel, children's products, education and extra-curricular activities along with some personal commentary along the way. News Bharati is a general news website that covers unbiased news in English and Hindi. It focuses mainly on national happenings while also reporting the latest news from the international stage, sports, business, lifestyle and technology. Newzars brings you the latest on technology, social news, mobile phones, tablets and gadgets. It is a one stop portal for mobile phone and tablet specifications coupled with the best deals available for buying. Just Your Average Momma is Faith, Family, Food, Fashion and Beer. All of my favorite things in one place. An eclectic mix of surviving this crazy life and sometimes thriving thanks to God's grace. 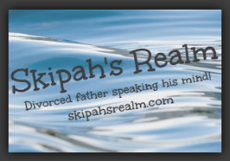 Skipah's Realm - Divorced father speaking his mind. Skipah's Realm - Divorced father speaking his mind. A personal blog of going through a divorce, custody battle, and post-divorce. All revolving around the most beautiful girl in the world and the various antics that she and her dad get into with the help of a pet hamster. Coffee for Mom is a PR Friendly blog that loves to introduce people to new products through reviews. We also love to cover the latest in entertainment, travel, new releases and run giveaways for our readers to help give new and existing companies a boost in social media. Every Thing For Dads is a unique blend of interactive modern media content for and about dads and parenting from across the globe, covering everything from serious and political news and issues to the funny and entertaining -- but with your lifestyle and everyday needs in mind. Using our unique experience in niche grassroots and cause-marketing we continue to successfully propel and assist businesses and organizations of all sizes and types to expand their promotion and marketing reach to engage modern dads and families. WardrobeTrendsFashion, also known as WTF, is a high-fashion and luxury online portal, featuring fashion lookbooks, campaigns and runway collections; luxury news in the different industries - automobile, aerospace, nautical, dining, watches, jewelry, technology; celebrity news, interviews; as well as charity - activities, events, campaigns by NGOs and non-profit organizations. WTF strives to be the world's largest repository of fashion labels' campaigns and lookbooks from across the globe. WTF readers are international and are mostly from the upper echelons of the business world, C-level executives, experts and personnel from the fashion industry, film industry, and more. Visit WardrobeTrendsFashion at http://wardrobetrendsfashion.com. Ann Again and again Reviews shares information on food, health and beauty products, and also provides good deals and coupon codes. This family friendly site is based out of Portland, Oregon. Expat Ideas is a platform to promote startups from across the globe. It is the first of its kind online platform to have a diversified industry approach with unbiased geography coverage. Aimed at budding entrepreneurs and investors, alike, Expat Ideas seeks to forgo geographical boundaries to create a favourable environment for the growth of the startup industry. Tech Blog Corner provides tech buffs with the latest from the world of technology. Since its inception, Tech Blog Corner has established itself as a reliable source for news on Search Engines, SEO, PPC and Search Engine Marketing. 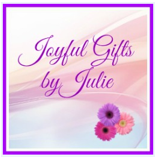 Joyful Gifts by Julie is a blog with PR-friendly posts and reviews. Julie's reviews and write-ups are her honest opinions about a company and/or their products or services. The blog also offers giveaways to help companies gain followers and potential customers for the social media platforms they choose. Joyful Gifts by Julie also has a gifting niche. Central Minnesota Mom is written by a blogger named Karen who enjoys writing about product reviews, giveaways, and more. She keeps busy with her three children and spouse. Her hobbies include: travel, cooking, crafts, gardening, photography, technology, and fishing. 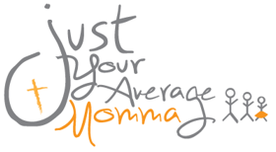 Mompreneur Media is an online hub for mom entrepreneurs. We feature up-and-coming mom entrepreneurs all around the world and also connect them with brands that help them run their business with greater ease. Through web design and marketing Mompreneur Media helps mompreneurs position their business for successful growth. Discover the advantage powerful marketing can create for any business at MompreneurMedia.com. Women and Their Pretties is a Woman's Lifestyle, Travel, and Music Blog. You will find women related tips, topics, and products. Audiences visit for the latest in music, such as album reviews, hot products, events, and big music industry topics. Everyone knows that a woman's point of view is important and that is what Women and Their Pretties provides for their readers. They are always looking for new events, topics, and products to feature!